I've been busy painting and assembling. 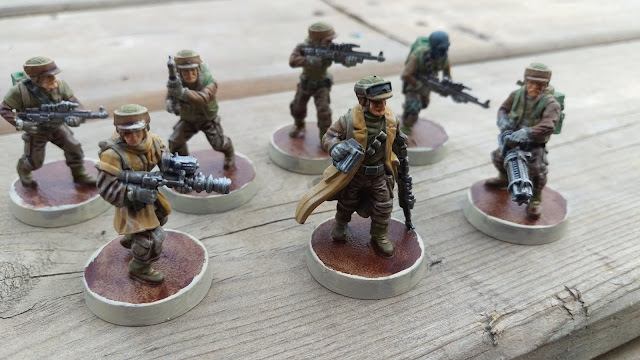 I had a game night coming up and wanted to get some painted Rebel forces ready to learn the game and take on Tristan's Empire army! 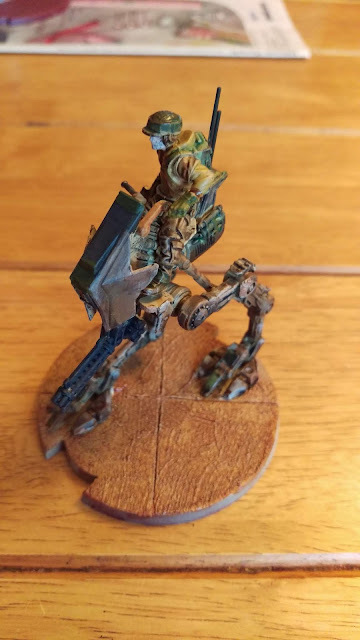 Surprisingly, the AT-RT is not that much of a pain to build. It takes a little patience lining up the leg pistons with the angle of the legs, but overall easy to piece together. So, I ended up buying a few additional units to round out what I already had. 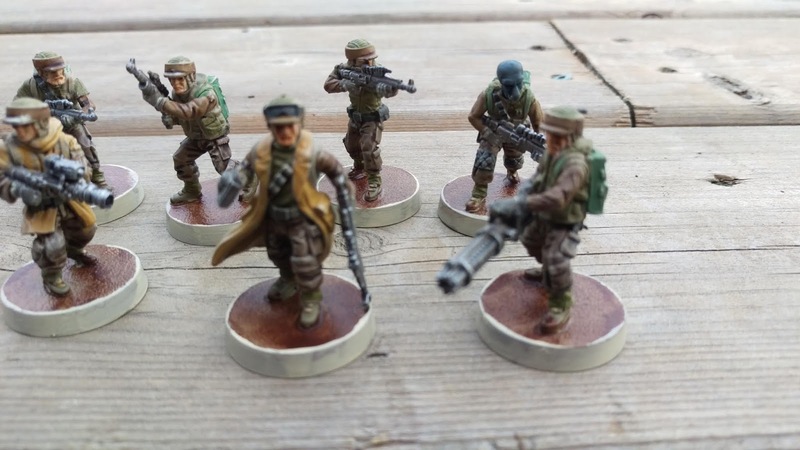 A box of Rebel Troopers, another AT-RT and two T-47 Airspeeders. In the beginning, I ended up buying just the Rebels as a stand alone from Chris, along with the rules, dice, tokens and measuring rulers. Chris had bought 2 starter sets and was working on his Empire forces, so I quickly jumped at buying the remaining Rebels from him. 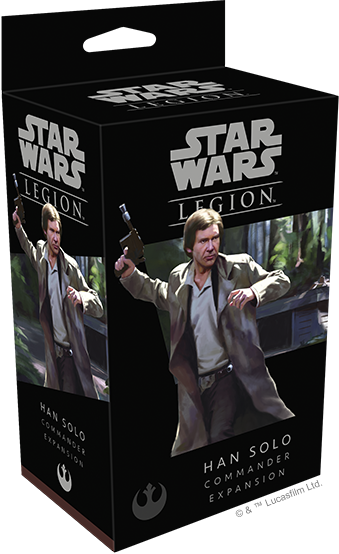 It's a great and easy way to get into the game, most starter sets can be found for $95-$100 (CDN) if you look hard enough. Game night! 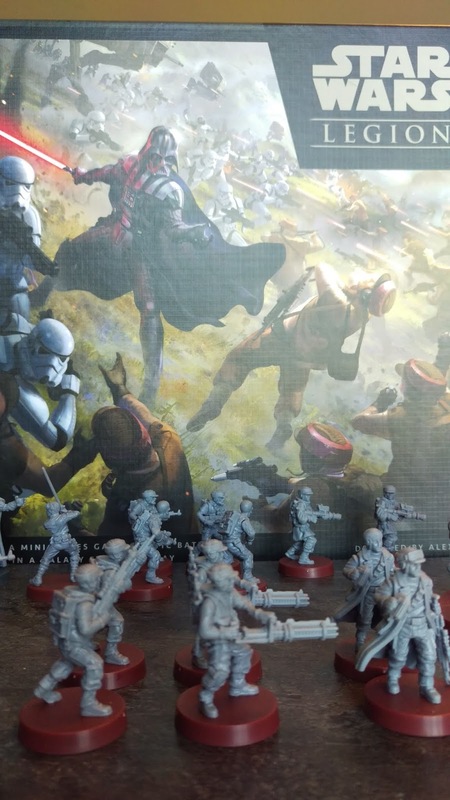 My Rebels have yet to activate against the Empire. 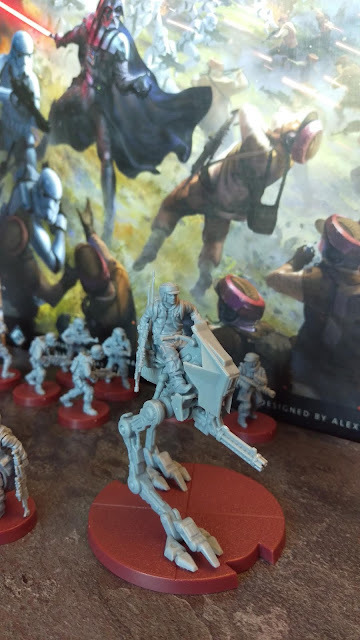 Working on getting my second box of Rebels ready for the table. 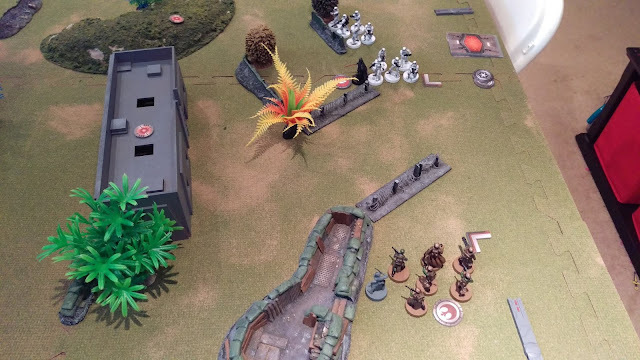 I found a technique online that I really enjoyed using to paint this force. 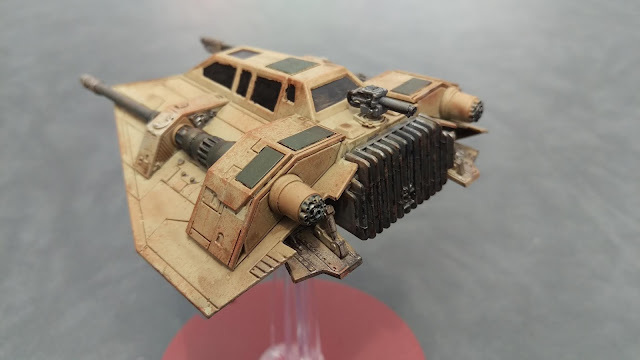 I also wanted a bit of a mix between a desert and jungle type paint scheme. A good combination of greens and browns, worked out for me. A little bit of silver on weapons and dry brushing pants and smocks give a bit of a 'worn' effect. With the bases done, I decided to go around the ring of the base after this photo was taken. It will be easier to ID units and still keeping it simple. The models themselves are very easy to glue together, the one-piece arms and weapons make everything simple to line up and the models come pretty clean and you rarely need to break out the hobby knife. 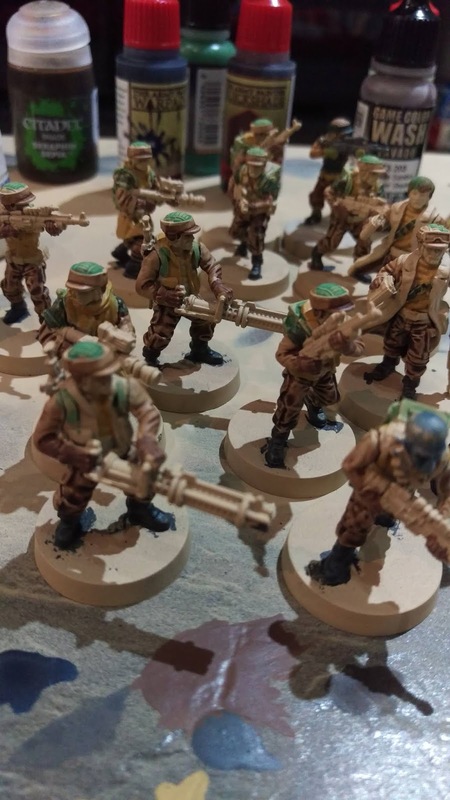 I think I ended up assembling and painting one unit in a little under two hours, that includes drying time between different washes and tone application. I bought two T-47 kits to add to my arsenal. Decently priced and the points can take up quite a bit on your lists, so as an additional unit it's a great value for just getting into the game. 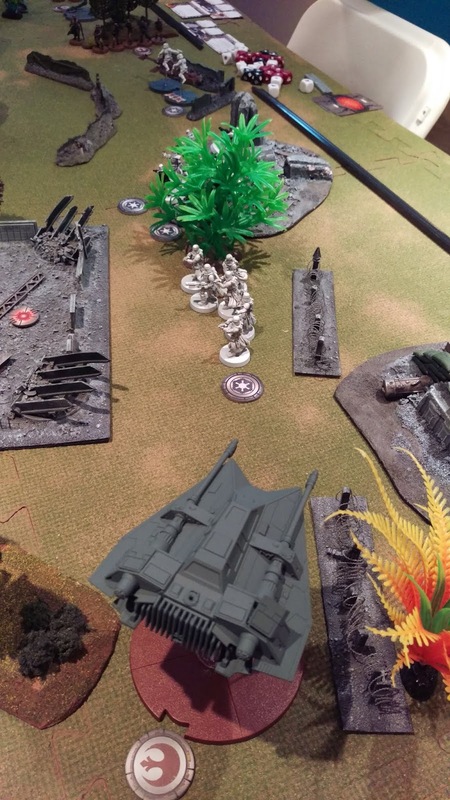 Plus the model and look of it on the table is pretty cool. Again, in keeping with something different, I think most of my Legion will be jungle/desert paint schemes instead of the traditional greys, silvers, whites and blacks of the Star Wars universe. 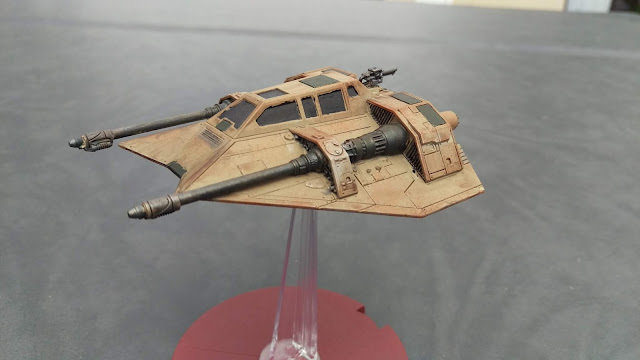 I tried a new 'Rust' effect from Vallejo and was quite pleased with the results. This model has some pretty incredible detail, it was a lot of fun to paint and try new things. Again, adding a few units to the core set is the way to get into this game relatively quickly and without taking a huge hit in the wallet. 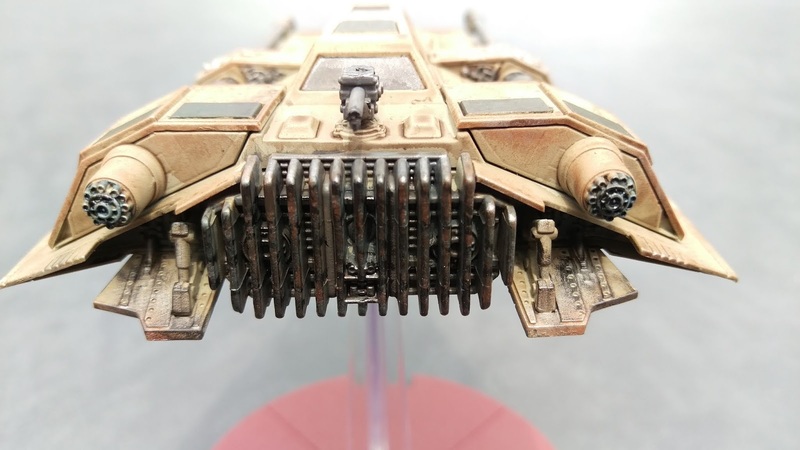 The builds are being posted online and there has been a lot of games played and figuring out what works for you and the combination of the upgrade system, much like X-Wing, will be something you can figure out as you learn the game. Overall, the kits are nicely sculpted and the scale makes them easy to paint. 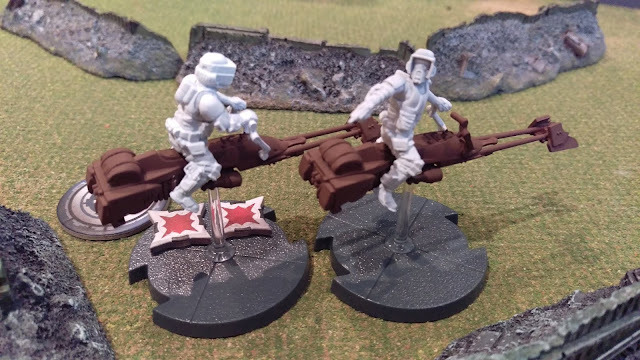 Here's two of Tristan's speeder bikes he has yet to paint. At least they are on the table! They're a very cool and capable unit to go up against. Get yourself into this game, it's a lot of fun and game mechanics, rules and obviously the subject matter is a huge draw right now. Core sets are selling as fast as retailers can get them. With players buying 2-3 at a time, it makes it difficult to get your hands on one. So be patient and shop around, I got most of my stuff online from different retailers without having to make concessions on the cost. 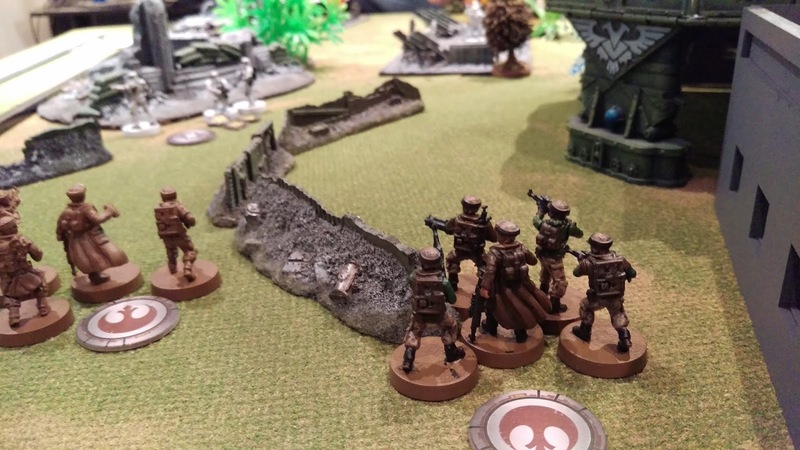 We should have some articles and hope to take some video of some of the games in our Escalation League Tristan will be hosting starting this month! Stay tuned for more Star Wars Legion, I think it has most of us excited and the style of the game will have us playing quite a few games over the summer!